Since the publication of the Civic Manifesto addressed to Cuban communists, reproduced in this blog after it first saw the light of day on December 13, 2010 in the new digital site “We Ask to Speak” to which I created a link, many regular readers and other friends inside and outside Cuba have expressed their interest in signing the document. Originally, said Manifesto was not designed to collect signatures, so it shows only the eight signers who participated in its first debate and composition. However, due to the reception it has had among many readers, it has been replicated in several other digital sites as you have requested, and this January, the option for anyone wishing to sign it, independent of their nationality, ideology or political affiliations,will be added. This is a civic message, not of a partisan stance. You can also contribute to the dissemination of the ideas presented in the referenced document by e-mailing it to friends and relatives within and outside Cuba. I will inform you as soon as possible when it is available for signing on the website cited above, where it was published initially. As co-author of the Manifesto, I appreciate the support you have given it, and I encourage whoever shares the proposals and ideas it contains to sign it. Thank you for your invaluable solidarity and support. A hug to everyone. Miriam. In late November, a kind reader wrote to me suggesting I prepare a list of all dissident groups and political parties on the Island. Since the proposal has appeared publicly in the comments on more than one occasion, I propose –in turn- to answer publicly and take the opportunity to share some impressions, given that other Cuban friends inside and outside the country have shown interest in the subject. I, for one, decline the privilege and the overwhelming responsibility of that task for many reasons. The first and strongest one is that I am part of this varied set that is grouped under the generic name of dissidents, truly diverse in interests, proposals, projections, performances, stories, successes, failures, etc., not to mention the human components and personal nuances that dot all these aspects. It is against all ethics to be judge and party to any process. It also happens that, in order to compile a list of this nature, basic concepts would have to be defined, such as “political party”, “opposition group” or “independent civil society” (in all its manifested forms today in Cuba). This omission also involves risks that could hurt feelings, or carry value judgments that may be subjective. I have personally heard criteria that overestimate the strength and organization of Cuban dissidents, and others that undervalue it. In fact, after two decades of what we conventionally call here “the surge of the opposition” — characterized by the emergence of some peaceful organizations under the influx of transformative ideas that swept the former socialist camp, and amid the general crisis known as “The Special Period” — the different groups have yet to achieve enough visibility or roots in Cuban society, despite the efforts they have made and the repression suffered by many of their leaders. The causes and ratings for this phenomenon will be properly analyzed in a conceivable immediate future by political scientists and historians better able to do it than this blogger, so I will limit myself for now to say that –- beyond their successes and failures — movements and opposition groups that have existed and still exist in Cuba have set an important precedent in the struggle for the rights and freedoms of the Cuban people through peaceful struggle, and have also demonstrated the existence of a large segment of the population of the Island that does not share in the ideology imposed by the dictatorship and is demanding changes. Breaking the idyllic image of a false unity and the highly publicized “the people united with its government” was a titanic chore that these opponents had to fight against in the last 20 years, at a high personal cost. At some point, its true value will need to be recognized. Another factor that undermines the development of a reliable list is the instability of some groups. Many of them have had or have a short life, i.e., they surge around a leader’s nucleus but quickly disappear, either by the loss, incarceration, or departure of the leader, or the lack of strength, civic, or political culture of their members. Sometimes they group under one name and then change it when they merge into other groups, or groups split and give rise to lesser groups in continual multiplication. At times, there seem to be lots of opposition groups or political parties, and there are people abroad who cannot imagine how, if this is so, the groups have not been able to overthrow, or at least weaken the dictatorship. In fact, not even peaceful means can be effective unless parties are consolidated and venues for moderation are found, both among social actors who promote change and society as a whole, as well as between them and the government. The old vices of Cuban culture that push us over and over again toward immediacy, improvisation, the search for the limelight, and leaders who are more or less charismatic are key difficulties that have fragmented basic problems and have weakened opposition movements for many years, hence they have not managed to become alternatives to power or even observers of political processes of interest in half a century, as happened with the recent (and as yet without complete results) talks between the government of R. Castro and senior Catholic hierarchy of the Island. This is so true that the very Cuban government, in the midst of the most serious structural crisis of the system that he introduced, allows itself the arrogance to launch insufficient and ridiculous economic reforms that guarantee him more time in power, at least time enough to finish divvying up the piñata and parcel out the spoils of this poor flattened out hacienda. I believe, therefore, that a “list of opponents” at present, far from contributing, could become another element of discord among some jealous and restless spirits. I really don’t think it appropriate or a priority. But opponents are not only grouped in political parties. 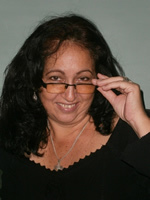 There are also civic organizations, for example, The Ladies in White, the Latin American Federation of Rural Women (FLAMUR), the Cuban Commission for Human Rights and National Reconciliation, headed by Elizardo Sánchez; the website Desdecuba.com, where multiple blogs share space, including Yoani, and several portfolios that can be considered the cradle of the Cuban alternative blogosphere, the blogger platform Voces Cubanas, with a large group of people of all ages and diverse views and interests, as well as the digital magazine Convivencia, which Dagoberto Valdés manages from Pinar del Río, among other civic groups. The importance of these stems from gradually creating venues for free, open and spontaneous debate, without belonging to any political party or answering to any ideology. Political parties and citizens of the future might someday emerge from these groups, without excluding any current groups. Life is always richer than any human forecast, but some of us Cubans are convinced that developing citizens to democratize Cuba is an inescapable and foremost task. The end of a dictatorship would be of little worth if the danger of an escalating one is sustained. We mustn’t forget that it was we Cubans who placed ourselves in the critical point where we are today. In conclusion, I believe that Cuba is set to create different venues that will encourage the growth of the alternative civil society, which will, in turn, give way to the emergence of institutions capable of upholding the rights and freedoms of citizens. It’s important to create citizens rather than political parties; to create civic culture, accentuating within it the ethical and juridical culture; to convert complaints into requests, into claims, into positive actions. The Ladies in White, Orlando Zapata and Guillermo Fariñas are the most visible evidence of this. It truly is a very long and arduous road that we will have to travel simultaneously toward the eventual extinction of the dictatorial regime. This imposes the dual action of pushing and forcing the government as much as possible, and, at the same time, of creating civic conscience in millions of slaves. However, it has been plainly shown that when it comes to a common destiny, improvisations are useless. Over one century of being a Republic without citizens has been lesson enough. The informal announcement of the VI Congress of the PCC, to be held in April, 2011, has been accompanied by the publication of the Draft Guidelines which summarize the topics to be covered at the most important meeting of the only party in Cuba. This document contains some positive aspects, especially those showing a clear understanding of the deep structural crisis that the country is experiencing and others, showing the direction the proposed solutions are headed. But its limitations, its unilateral and sectarian character, and the unjustifiable omission of matters of dire importance to the present and the future of the nation, have motivated us to comment on basic elements not considered by the top leadership of the PCC, without the inclusion of which it won’t be possible to make strides of any depth or speed. * The project is a straitjacket made without consultation, designed to truncate debate about issues that affect all Cubans and cover all spheres of national life. It is the outline of an agenda that, in the absence of essential rights and freedoms of democracy, rules out the participation of citizens in its proposals. * It is inconceivable for a political party to avoid political debate and at the same time to try to keep the economy subject to ideology, a method that has already demonstrated its unviability for over half a century. * The current situation clearly reflects two possibilities: either the Cuban model is unachievable, or the government has failed in its application. Therefore, essential self-criticism must be imposed wherever failure of the model that the government has followed to date is officially recognized, and the governing body’s responsibility in its implementation. * If the model failed, it is not wise to update it, but to change it, which would also imply a referendum to change the players. * The measures the government has been proposing in recent years in order to reverse the critical national socio-economic plight are transitory, outdated and clearly inadequate, because they suffer from a lack of realism. The Cuban crisis will not be reversed as long as the effect that the applied conceptions regarding property issues have had on the failure of the model are not recognized, and until they are fundamentally changed. This should be coupled with the necessary inclusion of nationals in the proposed investment processes. Maintaining the system of excluding Cubans — far from enhancing productivity and economic progress — establishes an obstacle to productive development. * Any attempt to improve the situation in Cuba goes through the full implementation of human rights in its indivisible nature, whose Covenants, signed in February of 2008, have not yet been ratified by the Government. The consummation of this achievement not only implies the unconditional release of all political prisoners, but in-depth legal modifications that tolerate the legalization of political dissent. * We have already exceeded the time limit for the implementation of partial reforms. No reform in Cuba can be confined to the domestic economy sphere, since the crisis spans the whole system. It requires, therefore, proposals of a systemic nature that cannot derive exclusively from the ruling party that has not even proposed a new program to replace the previous one — fruit of the Third Congress of 1986 — failed and forgotten. * Cuba is urged to overcome the philosophy of survival. People aspire to live and prosper, not to resist. Cubans have a right to prosper from the proceeds of their efforts. A ban on the demonization of prosperity must be imposed. * Any new model that is proposed should emphatically proclaim the end of the so-called Special Period and the beginning of a period of normality, based on agreed-upon principles which can be relied on, as part of a new social pact. * The Cuban government has implicitly acknowledged that the country is economically dependent on foreign capital. However, external assistance should only be subject to compliance with internationally recognized principles with respect to rights, and full people-participation, which, up to now, Cubans lack. Investors may not become rich as a result of the absence of rights in Cuba. Paradoxically, the violation of these principles obliterates the intentions to establish social justice stemming from the socialist system. * The updated model proposed by the Government is not “a model for man” but calls, instead for “Man for a model.” Man is subordinated to the economic and ideological interests of the ruling party. By keeping the sacrificial status of individuals in this system it is clear that this is not a humanistic model. * Economic advances are not possible if they are separate from exchange and free access to information. The government monopoly on information networks denies the potential of a people who achieved high levels of education and constitutes a violation of their rights. * The absence of alternation, nepotism, and the lack of limits on the terms in public office become a brake on development. The responsibility in the face of failures, linked to the accumulation of interests on the part of a group established in power in perpetuity, also tends to perpetuate the Cuban crisis and makes the collapse of the system irreversible. Reality demands a reform in this plane so that the existence of other policy options will force the government to successfully fulfill its mission at the head of the nation’s destiny. Perogrullo is right in that we Cubans are basic means for the government; we are used or ignored, according to how useful we may turn out. As if this alone were not enough, we have an “inventory number” inscribed on our identity card which we are required to carry around, and, more important even than your face or name, is that pretty long number including your birth date, followed by another sequence indicating even your gender. I, for example, am not Miriam, but 59100900595. The identity card in question also has one’s fingerprints. Just by looking at that small card encased in plastic, the message is loud and clear: “I’m watching you”, which, of course, is one of its main purposes. While it’s true that in other parts of the world people tend to have a document that identifies them, from a driver’s license to a dry cleaners card, no written gadget replaces the human person as in Cuba. Unless we are talking about a criminal, who, nevertheless, also has his rights. And this is the word around this issue: rights. Because in these last few days the Universal Declaration of Human Rights was celebrated, and the press in my (my?) country, with the touching modesty that they have us so accustomed to, once again harped on the extraordinary achievements on such rights that the revolution has introduced for us – the native basic means — and for tens of thousands of people around the entire world. They harp, above all, on health issues. Just my bad luck that around that same time I had visited an old relative at the Altos clinic at the Calixto Gracía Hospital, and I was able to evidence, alive and directly [in the flesh], as we say in Cuba, the conditions in which basic means are warehoused in such as a place. A ward where, in unabashed promiscuity, patients of both sexes share their stay, even the same cubicle, so that if they need to use a bedpan or a urinal, or if a patient (yes, you have to be patient) has to be catheterized, or if someone who is not ambulatory has to be given a sponge bath, it has to be done in the presence of others, because the ward does not even have devices that allow curtains to be drawn discretely to isolate patients from each other when it is necessary or desirable. The highest aspiration of the poor flesh and bone pieces of furniture, “cared for” in this manner, is for the roommate and his visitors, and even the patient’s own visitors, to discretely look away while they the patient uses the bed pan, while he gets washed, or simply while the doctors’ or the nurses’ treatment requires that their bodies be exposed. It is a very bleak spectacle indeed. It is overwhelming to just think that a human being might stumble into a situation in which dignity and respect are stepped on like this and, to top it all off, that they have to be grateful that “at least we have free and guaranteed medical attention”. In the midst of all this, I am wondering if the embargo is responsible for an individual who is ill to be subjected to expose his intimacies and his miseries in such as crude manner. I wonder if, at any time, someone had the rare privilege of sharing his in-patient cubicle with any of our olive-green dinosaurs or with any other member of the upper caste, or if any one of the executives or other foreign visitors that are always bragging about the Cuban health system has ever seen these hospital wards, or if they would like to be cared for with these “attentions”. I wonder, above all, how we can cure someone while at the same time lacerating his sense of personal dignity. Definitively, this December 10th I have discovered another one of the dirty corners of Castro-style Human Rights. Old Rubén is over 80 years old, but he is one of those whose “suckling pigs will not die in his belly,” so, since he retired more than a decade ago, he has always sought ways to round out his meager pension and increase his income. So old and already infirm, he must spend a fortune on his meds every month, but he won’t complain or veg out in a rocking chair, so every day around noon and in the afternoon he leaves his house and walks toward some school’s entrance so he can sell candy. Rubén has thus found a way to stay active and, at the same time, make some extra money, though a few times he has had to run away as fast as his tired legs will allow because the police harasses all “illegal activity”, even the small escapade of an old man struggling to survive this shipwreck. At times, they have caught Rubén and he has lost his profits and his “merchandise”; on more than one occasion they have “warned him” that if he continues the activity, they will apply “other stronger measures”, but it would not be honest of me to deny that on several occasions the agents have let him go with his candy and his few little pesos… “Old man, behave yourself and stay put at home!” “I don’t want to see you with candy or anything, OK?” But, after a few days, when the wallet starts to wane, Rubén once again fetches the candy and peers cautiously around the school. One has to make a living! However, these days Rubén has received bad news. Lalo, his candy supplier, as old and worn as Rubén, has decided to submit the license application to manufacture the goodies. Police and inspectors will have declared war on him, and he feels a constant watch on his home, making it difficult to work; sugar is difficult to obtain, and has greatly increased in price… He already has a tired heart and is not up to these sudden shocks. The problem is that we now Lalo will have to do twice the work: cook up the candy and go out and sell them, because – according to the “new reforms” implemented by General Raúl (a little old man who doesn’t have to sell candy) — if Lalo contracted with Rubén and other sellers of his products, he would have to pay social security taxes for each “employee,” which would reduce to a minimum his own profits and make his efforts completely inoperative. Several days ago, I was reading some works published on a site that switches between the informal and the official. Contrary to what many may believe, it is interesting to meet views opposing to one’s own, especially if they provide elements that force us to tune-up the arguments, or – as in this case – when it deals with personal testimony that allows us to face facts that, no matter how you look at them, affects many, independent of their individual political preferences or ideology. I do not intend to hash out an article, but to comment on one of the topics to be addressed: the elimination of workplace lunchrooms as a way to alleviate the extreme “subsidies” hanging over this indulgent father they call the State. The “measure” was announced loudly over a year ago in the national media and was implemented experimentally in several work places, whose workers would now receive the sum of 15 pesos (national currency) in place of each lunch. Many of these workers received the news of the end of their mess halls with real pleasure, and with good reason: those who worked all 24 workdays of each month would receive a total of 360 pesos under this model, in addition to their salary. In some cases, taking into consideration that the amount was the same for all workers regardless of salary scales or complexity and responsibility of their positions, lower-income employees would have a substantial increase in income over their own salaries. It goes without saying that the workers who were not chosen for the experiment hopefully and anxiously awaited the measure to be extended to everyone in the work centers. With the enthusiastic immediacy that characterizes any revolutionary initiative in this country, the experiment began with the purpose of verifying the results in order to extend the measure to all workplaces. However, though the matter has not been mentioned again, the lunchrooms have gradually been disappearing from countless workers centers without workers getting any compensation in return, since they were not among the elected at the start of the great experiment. The ones who were excluded, therefore, do not have lunchrooms or the benefit of the redeeming 15 pesos, though compliance with the rigorous 8-hour workday established by law is maintained. It must be noted, by way of parenthesis, that these laws also state that a 9-hour shift without a lunch break cannot be fulfilled, so – with their wicked skill — management of each work center has been careful to maintain an hour of recess intended for workers’ lunch breaks, when they must find a way of eating, be it by reducing their meager incomes to buy whatever “street” food seems cheapest (therefore devoid of any quality) or by eroding their no less flagging household food stocks, with all the inconveniences that entails. By the way, in spite of the problems it causes, I don’t have any information that the slightest workers strike has taken place… nor will it ever. You can take that to the bank. Beyond the small gastronomic and financial tragedy, however, isn’t it truly cynical that the government’s experiment decided to allocate 15 pesos to each worker to buy his own lunch? As I see it, if the officials themselves conceived that that amount was essential for an individual to obtain a simple lunch; if, in addition, it is well-known that a median Cuban income is approximately 300 pesos, isn’t it tantamount to official recognition that an individual’s income in Cuba is barely enough to guarantee one meal a day per person? This is, from my view, the crux of the problem. The drama lies not, as seems to be projected in the opinion of some who are affected, whether or not they are granted 15 pesos for each lunch or whether they maintain a trough (not “lunchroom”) which guarantees a miserable and generally bad food ration in their workplace at a nominal price. The real tragedies are that the salary earned after a month’s work is not even enough to satisfy the most basic feeding of an individual, let alone of a whole family; that the State Chiefs — aware of this — should wash their hands of the matter and that the ever-victims should continue to suffer in silence the scorn and arrogance of these XXI century slave drivers.